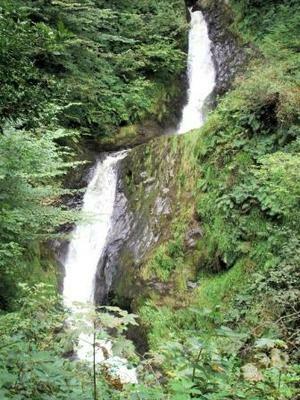 The Dolgoch Falls are a series of three waterfalls near Tywyn in the South Western corner of the Snowdonia National Park in North Wales. 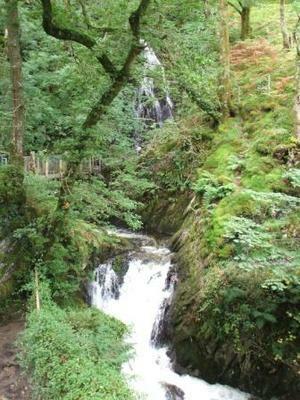 There is a large (pay) car park in front of the Dolgoch Falls Hotel and from there it is about a one mile walk to see the falls. 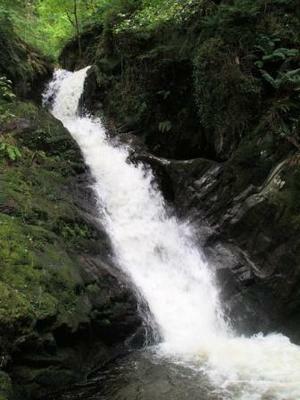 The path to the lower falls is easy and passes under a viaduct of the Talyllyn Steam Railway. It then climbs through ancient woodland via some tricky stone steps to the other 2 falls, passing several caves which are entrances to old mine workings..